Now you can have access to local, national, and international news through Newsbank. Newsbank provides on-line news access 24/7 and is available remotely. Lovington Public Library uses Newsbank to access local news. Through NewsBank, patrons have access to NM newspapers as well as newspapers throughout the world. Santa Fe New Mexican, and more. Spanish language newspapers, magazines and newswires from the U.S. and around the world including Argentina, Chile, Columbia, Mexico and Spain. Interface can be changed to Spanish. Comprehensive collection covering military issues from all branches of the service: Air Force Times, Army Times, Marine Corps Times, Navy Times, and others. Search over 500 business resources including extensive full-text coverage of accounting, banking, financial and marketing news from well known journals, newsletters, newswires and magazines. Adult magazines are located in the Adult Fiction section. Children magazines are located in the Youth Reference section. 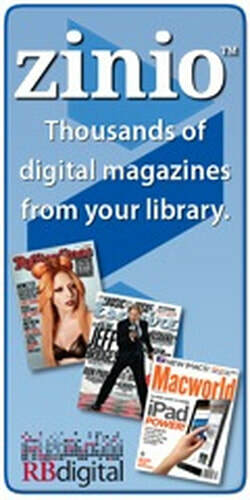 LPL keeps a previous year of magazines in archives that are available for checkout. Americas News Magazines: Find information on topics of current interest business, education, the environment, science and technology. Features Newsweek, Foreign Affairs, Popular Science, Smithsonian and more for current events and homework help. click on the link below to access America's Magazines.